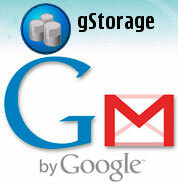 Google’s email service Gmail is one of the most popular web-based email service with over 130million users worldwide. There had been many software and applications available to utilize the gmail’s huge inbox space to store and backup your files from your personal computer. But now mobiles are in to game too. 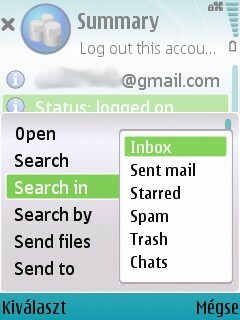 gStorage is a symbian app which put a separate storage in your mobile phone handset. After installing this software you can signin to your gmail account through this application and a separate file storage drive will appear in your mobile phone. 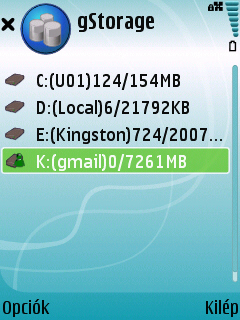 gStorage v1.1.90 S60v3 helps you store your music, images, videos and other files onto your gmail account from your symbian mobile phone. 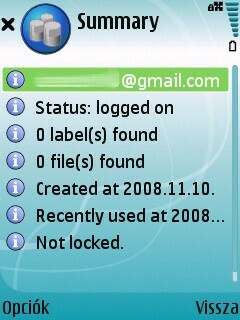 Download gStorage v1.1.90 s60 ver.3 (Free Version) for symbian mobile phone. Download gStorage v1.1.90 s60 ver.3 from gStorage website. Download gStorage v1.1.90 s60 ver.3 from mediafire mirror link. [ad#ad-taalz-inpost-right]This software is a file management tool, which can be used to manager your local files in a mobile phone and network files in a remote storage space. Currently, it supports those files(attachments) in your Gmail box. As we all know, the storage capacity of one free Gmail box is considerably large, up to 7Gb for the moment, and can be upgraded to 400Gb. So, with this tool, you will get a large enough disk for your phone right now. It easily converts your Gmail box to a local mapped drive and you can exchange data with your Gmail box. Another way to extend the capacity for your phone is applying for another free Gmail box, but this requires you maintaining additional accounts.